Some weeks (months?) later I checked on the container's inhabitants, finding that all had perished. In their place were some frisky rove larvae and a population of tiny gnats whose larvae had apparently been feeding in the decaying cambium layer of the bark. 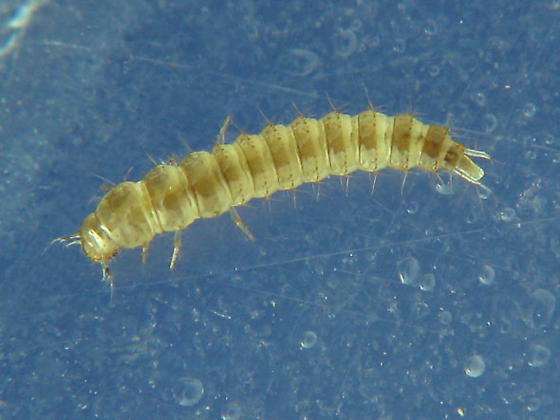 I wondered whether the rove larvae were feeding on cambium, gnat larvae, or both.